There is power in every G.I.R.L.! Unleash it early (and often!) at Girl Scouts. We combine life skills, STEM, the outdoors, entrepreneurship, and civic engagement to deliver crucial, life-changing, girl-led programming. Our proven approach gives girls the opportunities to unleash their inner G.I.R.L. (Go-getter, Innovator, Risk-taker, Leader)™ to prepare for a lifetime of leadership and change the world. With us, the possibilities are endless. Once her inner leader takes center stage, anything is possible! April 1 - July 31: Through the extended-year membership option, new girl and adult members can register for a 17-month, $35 prorated membership that allows you to begin your Girl Scout membership on May 1, continue during the summer, and then transition right into the traditional troop experience in the fall without paying double membership fees. It's seamless - and a pretty sweet deal! 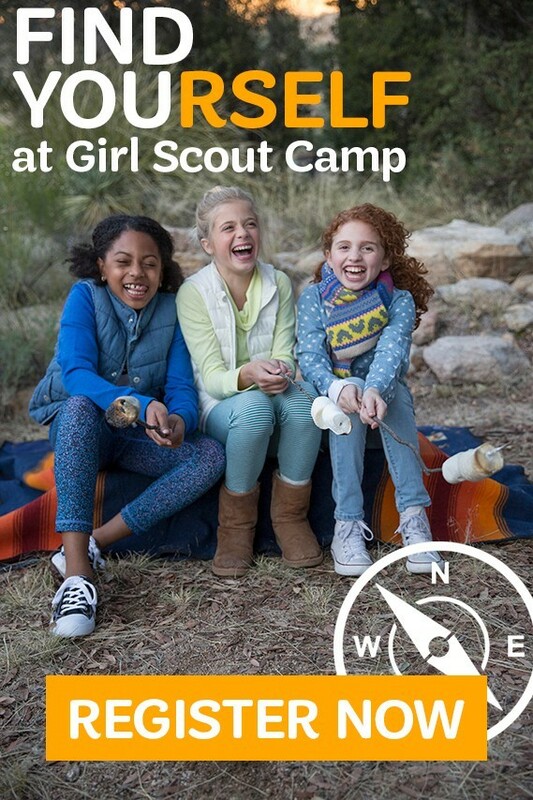 Ready to start your Girl Scout adventure? Are you an adult looking to join? For a list of community events to Join In-Person, click here. Registration has never been easier! 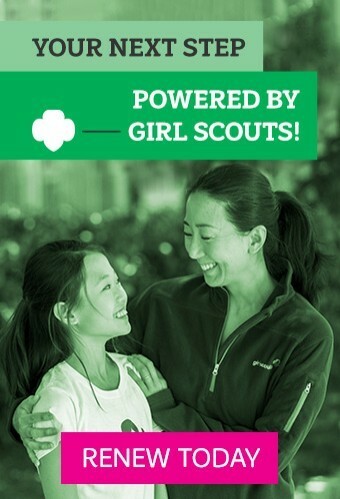 Click the "Join Girl Scouts" button, and provide us with your basic information. Then you'll be taken to the Troop Opportunity Catalog. Troops in your zip code for your girl's grade will be displayed. To find the best option for you and your family, you may need to expand the zip code radius, or enter your girl's school zip code instead. Be sure to check the number of Volunteers Needed for the troop you choose. Troops that have 2 or more volunteers needed may still be forming, and will need caregivers to step up as troop volunteers. 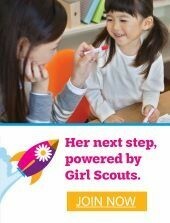 Complete the process by purchasing a Girl Scouts of the USA membership for your girl. If you have any questions, aren't sure what troop you're looking for, or need help, please call us at 800-852-4474! Girl Scouts is a great value! Membership starts at just $25 with additional program fees for the activities your girl attends. Of course, we never want the fees to be a barrier, so definitely ask us about financial assistance. Please note that purchasing a Girl Scout membership does not guarantee placement in a troop. A membership to Girl Scouts of the USA is non-refundable.